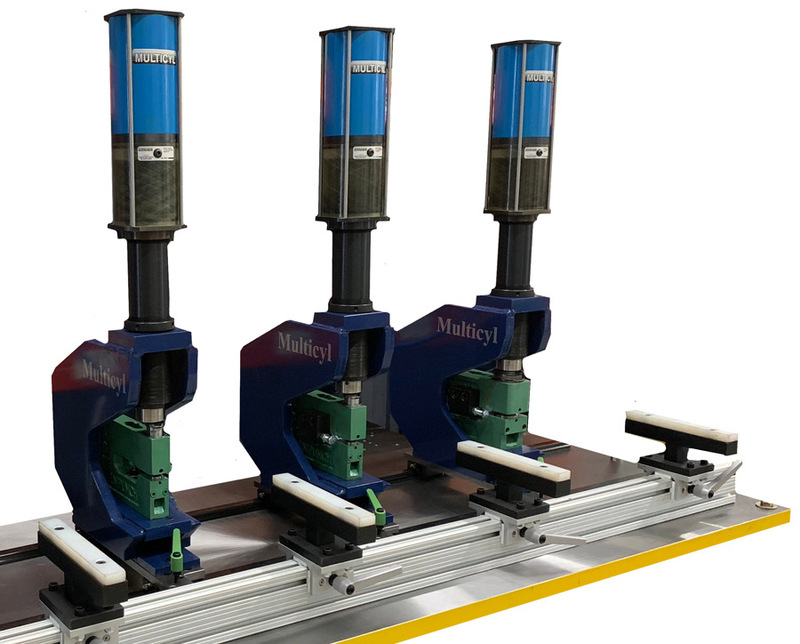 Multicyl Inc.’s MLR (Multicyl Linear Rail system) adjustable punching tables use shop air with standard Press-in-a-Box cylinder packages to supply the punching power. The company introduced a new adjustable part support option. Sliding on its own separate rail and using the MLR standard Easy Clamp system, the user can add or remove part supports as well as adjust their position along the MLR to accommodate various lengths of parts in seconds.